This example illustrates how you can use the SSM procedure to analyze a panel of time series. 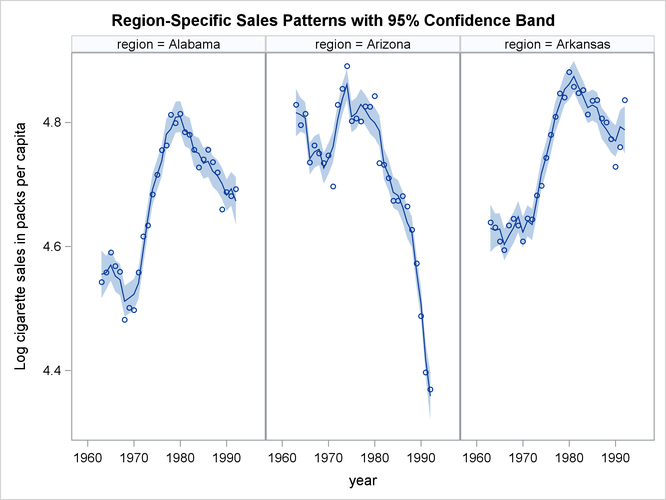 The following data set, Cigar, contains information about yearly per capita cigarette sales for 46 geographic regions in the United States over the period 1963–1992. 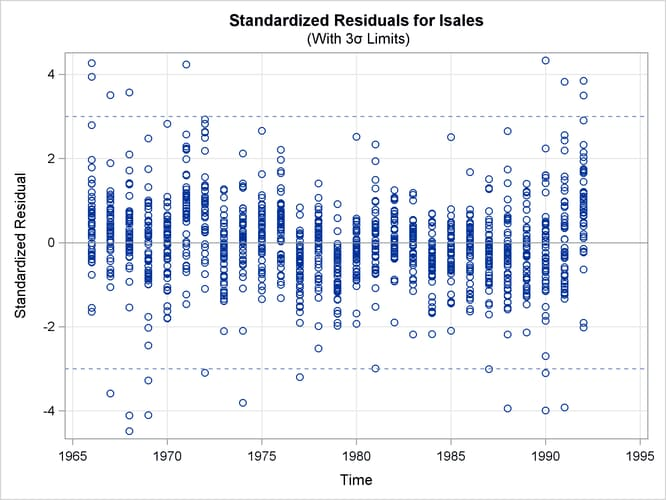 The variables lsales, lprice, lndi, and lpimin denote the per capita cigarette sales, price per pack of cigarettes, per capita disposable income, and minimum price in adjoining regions per pack of cigarettes, respectively (all in the natural log scale). The variable year contains the observation year, and the variable region contains an integer between 1 to 46 that serves as the unique identifier for the region. For additional data description see Baltagi and Levin (1992); Baltagi (1995). The data are sorted by year. where each is an integrated random walk. 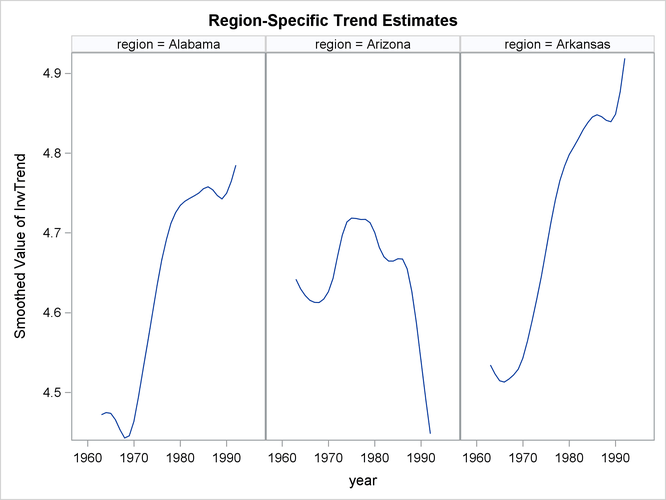 Note that since RegionArray[i] is a binary variable, IrwTrend equals when region is i. Lastly, the use of MATCHPARM option specifies that the different IRW trends use the same disturbance variance parameter for their slope equation. This is done mainly for parsimony. Based on the model diagnostics shown later, this appears to be a reasonable model simplification. The PDV option causes variables such as region1–region46, which are defined by the DATA step statements within the SSM procedure, also to be included in the output data set. The PRESS option causes the printing of fit measures that are based on the delete-one cross validation errors (see the section Delete-One Cross Validation and Structural Breaks for more information). Figure 27.8 shows the details of the likelihood computations such as the number of nonmissing response values used and the likelihood of the fitted model. See the section Likelihood Computation and Model Fitting Phase for more information. 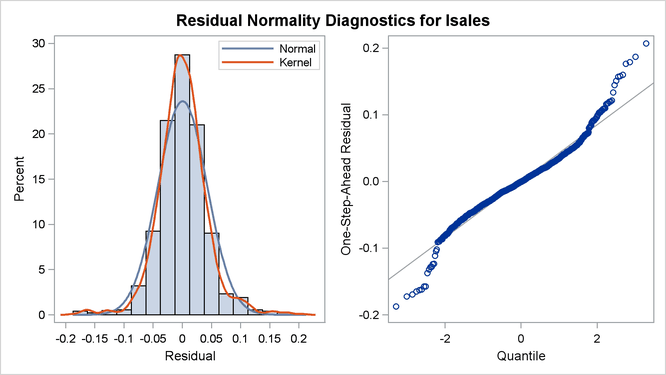 Figure 27.8 shows the likelihood-based information criteria in lower-is-better format, which are useful for model comparison.